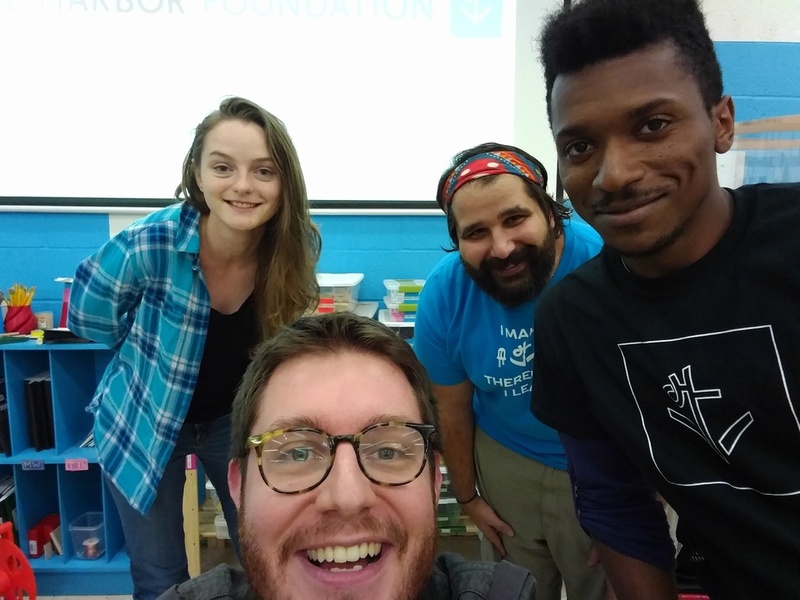 Baltimore's first October 2017 meetup for Homebrew Website Club met at the Digital Harbor Foundation Tech Center on October 4th. martymcgui.re — Went to IndieWebCamp NYC last weekend! Had a really great time (that he really needs to write up). Figured out how to show closed captions / subtitles on audio content (and needs to write that up). Recently decided that Jekyll was slowing him down too much and decided to jump to Hugo. First steps there - use a sacrificial website to learn on that is much simpler, in this case the We Have to Ask Podcast. Also showed off Rob Weychert's website as one that impressed him from IWC NYC due to the really nice typography, spacing, layout. djfalcon23.github.io — Added a new slideshow feature. Can now show a model slideshow of past projects. In true HWC fashion, he pushed this feature live during the demo. Will be adding similar modal displays for PDF documents and videos. lizboren.art — Been changing her art portfolio site. It's hosted on ArtStation which has a pretty affordable "pro" level with good editing tools. She's been happy with it for now. Slightly more problematic is that her .art domain was registered on her behalf by her school and now she doesn't know how to get access to manage it. We tried to use the WHOIS info to track down who to contact at the controlling registrar. jonathanprozzi.net — Been working on a site for work at Digital Harbor Foundation. They are relaunching blueprint.digitalharbor.org educator resource portal. They've been working on a clear structured landing page for people that are not registered for it, as well as cleaning up navigation for users who are registered. It's a WordPress site and they've been moving their content into "Sensei", a WordPress add-on for education content from WooCommerce. We talked about doing design research and taking inspiration from sites that are similar to what you're working on. Talked about the different approaches needed when working on content and structure versus working on making something attractive. Went around talking about pet peeves about the web: bad graphic design, not having an obvious login button, sites that use social logins (e.g. GitHub or Twitter) when they don't work, crucial interactions in modals that aren't clickable on mobile, surveillance and adware crap. Thanks to everybody who came out! We look forward to seeing you on October 18th at the Digital Harbor Foundation Tech Center!